Have you been to a Pecha Kucha? Do you know what a Pecha Kucha is? Do you know how to pronounce it? 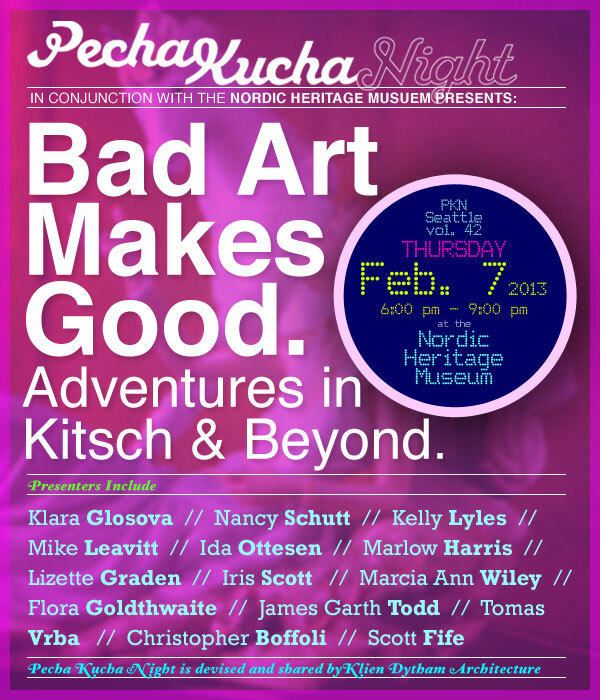 Attend the next Seattle Pecha Kucha group at their 42nd event in collaboration with the Nordic Heritage Museum. It will be a wild rump through the storied halls of kitsch and all the “bad art” it entails. Promised: Amazing, wonderful presenters.